Life with osteoarthritis can certainly be painful, but are there any dietary changes that can help you feel better? We look at some of the food myths and theories surrounding osteoarthritis. In Australia today, one in 11 people are living with osteoarthritis – a condition that occurs when the cartilage covering the ends of the bones in your joints begins to breakdown. When this occurs, the bones in your joints begin to rub together and cause pain, swelling and loss of motion. Osteoarthritis worsens over time and generally affects the hands, spine and joints like those in your hips, knees and ankles. Although there aren’t any foods that can cure osteoarthritis, there are some studies that suggest certain foods can help reduce pain and inflammation caused by the condition. People with osteoarthritis are encouraged to eat a healthy, balanced diet with more omega-3 fatty acids, like those in oily fish. It is also believed that a Mediterranean diet with lots of fish, pulses, nuts, olive oil, fruit and vegetables can be beneficial for those with osteoarthritis. Unfortunately, there also tends to be a lot of diet myths and misconceptions about the effect that diet can have on osteoarthritis. Some people believe that certain acidic fruits like lemons and oranges, or nightshade vegetables like potatoes, can cause the symptoms of osteoarthritis to become worse. There has also been popular belief that meat or dairy products can worsen the symptoms of osteoarthritis. However, none of these claims have been based on any scientific evidence and avoiding things like dairy products can actually be really risky for people with osteoarthritis. The calcium in diary is extremely important for maintaining strong healthy bones and as a result, avoiding dairy can lead to osteoporosis later in life. For all people, but especially for those with osteoarthritis, it’s important to maintain a balanced diet and a healthy weight to sustain a good quality of life. For people with osteoarthritis, their weight will directly affect the strain that they are putting on their joints. Many people with osteoarthritis find that the pain in their joints limits them from doing exercise. As a result, many people find they are gaining too much weight. Controlling portion size and avoiding excessive fats and sugars can be an alternative way to limit weight gain. Whist it’s important to take a proactive approach to your health, it’s imperative that you consult your doctor before making any changes to your diet, lifestyle or exercise regime. Everyone is different and your doctor will know how to best manage your condition. For some people with osteoarthritis, it may also be necessary to undergo joint replacement surgery. 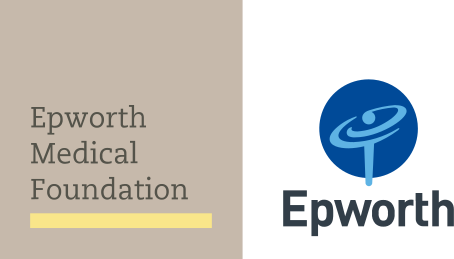 You can find out more about this type of procedure at Epworth here.